BELLEVILLE – Cancer has affected everyone in some way, and one Belleville man has been behind the wheel helping patients get the care they need for more than 34 years. 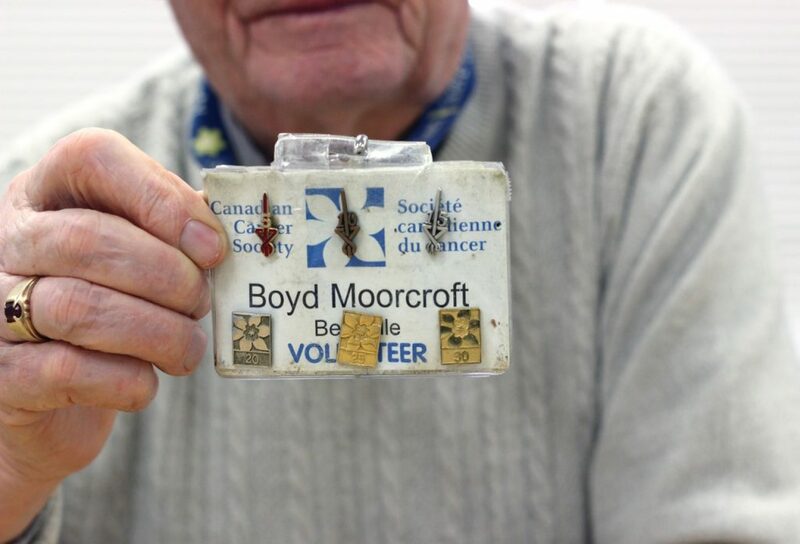 “I think that’s almost a record with the cancer society. There’s no one in this area other than me that’s been driving that long,” says Boyd Moorcroft. 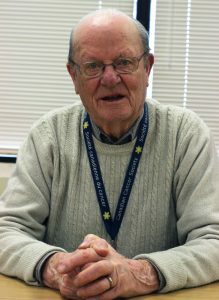 Moorcroft, 87, of Belleville, volunteers at the Hastings-Prince Edward County Canadian Cancer Society as a driver for the Wheels of Hope Program. The service provides transportation for cancer patients needing a ride to and from their medical appointments. “I enjoy driving and I enjoy dealing with people, so this was one way I could accomplish two things and hopefully feel that I was making another contribution to society,” Moorcroft told QNet News this week. 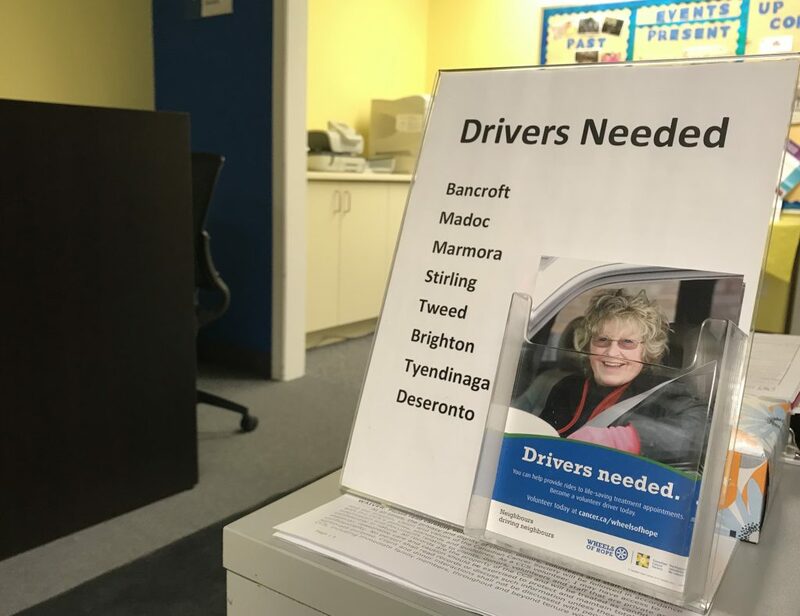 The local branch has 80 volunteer drivers but is trying to recruit more for the northern part of the region. He makes two trips a week on average to destinations that include Toronto, Kingston, Ottawa, Peterborough, Hamilton and London. Many trips are to Kingston, where there are many treatment options available for local patients. Moorcroft has bonded with many of his patients over the years, but says his experience with each person is always different. Although some of his former passengers have lost their lives to cancer, many more are still in touch with him, including a man who was only a 10-month-old baby when Moorcroft drove him to the Hospital for Sick Children in Toronto. Monday was World Cancer Day, when people and organizations worldwide raise awareness about cancer. In Canada, about one in two people will be diagnosed with cancer in their lifetime, and one in four will die from it, the Canadian Cancer Society says. Wheels of Hope is one of the largest volunteer programs in North America and helped over 9,000 patients last year, according to the organization’s website. Moorcroft says his favourite part of the job is the gratitude people express after every trip.